The spunky Evie (played by Jax Ball), frantic Justine (Jessie Bias), and level-headed Wendy (Mona Lufti) are the perfect trio to calm the unstable and unpredictable being that is now their friend Beth (made frighteningly real by Danielle Power). Marian Gonzalez plays a series of supporting roles that help catalyze the story’s plot points until the climactic final scenes. 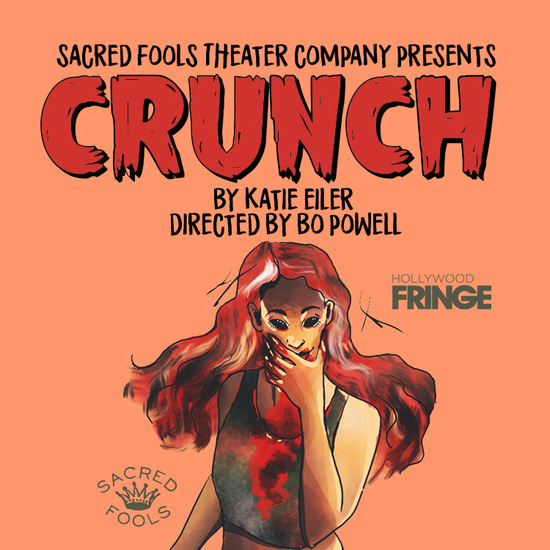 The storyline of “Crunch” feels derivative of pop culture stories about buddies who care for a monster-like thing, but it’s nevertheless original with its cast of all women characters who are figuring out their sexualities in the process.